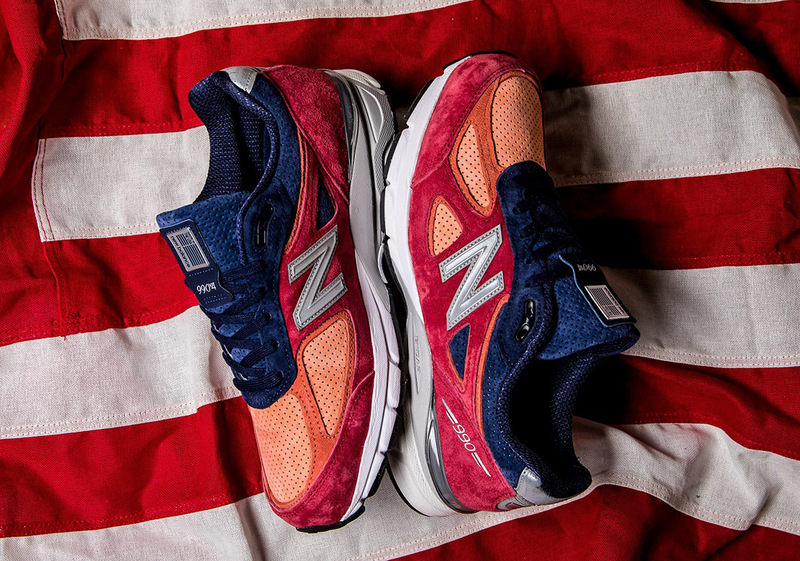 One of the key selling points of the premium New Balance 990v4 silhouette is the fact that it is hand made in the USA using the highest quality materials. Now, the Boston-based brand is ready to show some more Patriotic love to the silhouette by adding a red and blue – with a touch of orange – color scheme that comes fully decked out in luxe suede. While a number of the colors that normally adorn the 990v4 are neutral and tonal, this is exactly the opposite in this particular case, as these are sure to be a head turner. While select boutiques the likes of Sneaker Politics have this pair online for order today, the global launch at big box retailers is scheduled to go down on August 3rd.